From birthdays to holidays, to the mass commercialization of parenthood, we are constantly told we are missing a LOT of stuff required to do parenting right (not true!) or to keep our child occupied for more than 5 minutes (also not true!). The truth is, when children have too many choices they are often overwhelmed, overstimulated, and distractible. But, when there are only a few quality choices available, we see more engagement, self-direction, and concentration. This is better for their development and our sanity. In Montessori education, we strive to support the child in her development by having that quality space for the child to use. This gives us great insights into how best to honor the wonderful culture of gift-giving while trying not to overwhelm our child in the process. Here are our top picks this holiday season. Does the book have an author? : Even books with no words have authors. Authors tell stories and a book without an author (unfortunately common in some kids books) is a major red flag. Does the book depict real things? : Books about simple, real things with beautiful images are going to be favorites of the child. Fantastical stories on the other hand (especially character-driven ones that peak early interest in screen-related media) are confusing because they aren’t real - and the child doesn’t know the difference yet. There is even evidence that children learn more empathy from real books. Does the book perpetuate gender/racial/familial/etc stereotypes? Are the women and girls in the story dainty and frail? Are the men powerful? Are there people of different cultures, races and ethnicities? Are there different families depicted? Story-telling is one of the best ways to teach children about culture and the things we value. Take a look and see if it matches what you value. Alphabet Books: We have a separate section here for alphabet books because as educators, we care about helping children become literate. Nearly ALL of the alphabet books out there are woefully teaching children the OPPOSITE of what is helpful for their eventual reading and writing. Is the alphabet book teaching the sound of letters? The sound of the letter "j" sounds like "juh" while the name sounds like "jay". From the perspective of teaching literacy, the sound teaches the child to decode the word (Juh-ee-tuh...juh-ee-tuh... jet!) whereas the name teaches the child vocabulary that is only useful if they know how to spell - which they don't (jay-ay-tee...jay-ay-tee...I don't know). Read the book with the sounds and you'll find that it often doesn't work (G is for Giraffe... even though in "giraffe," the "g" makes a "juh" sound). Are the letters lowercase? Reading is about learning symbols and decoding. Its helpful if at the onset of teaching letters, the symbols are consistent. By in large, the child will be encountering lowercase symbols (not uppercase) so it is most helpful to teach them the sounds with lowercase symbols. Consider this with any alphabet blocks, toys or refrigerator magnets as well. This is one of our favorites. 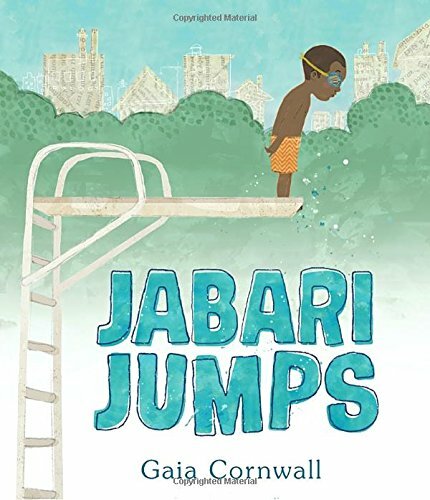 Its a simple, relatable story with beautiful illustrations and fantastic modeling from the dad about how to support (not pressure) his child's ambitious endeavor. 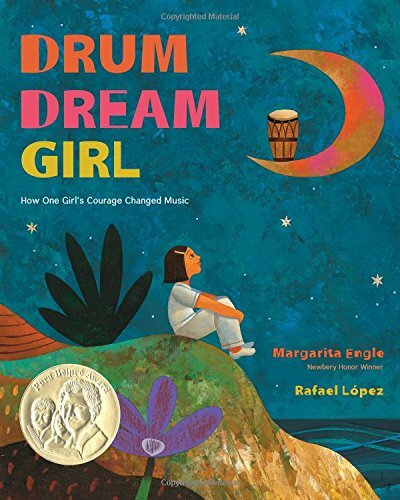 This is a great book about a real hero who countered the culture of girls and drumming. The rhythmic language of the poem from Margarita Engle offers literary diversity for the child. 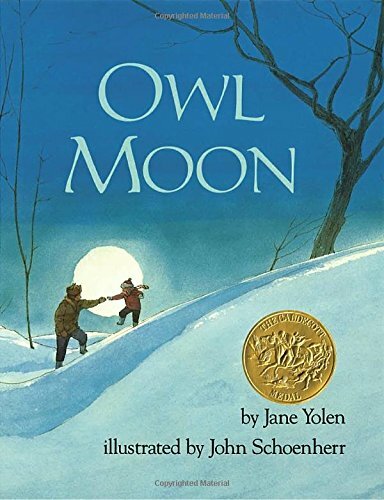 This beautiful book has a creative story about a little girl going "owling" with her Pa. The imagery, language and story are all beautiful, deep and rich. 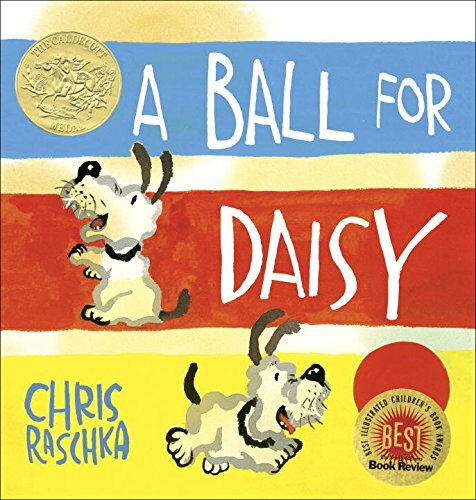 This is a simple, wonderful story about a dog whose treasured ball gets popped - but it has no words. The child is able to connect to the emotional states of the situation and to follow her own story of what happens next. Day Passes/Memberships: Consider places like the zoo, aquarium, museum, regional park, etc that would allow the child to have quality real experiences in the world around them. Meal Delivery/Certificate: Every parent appreciates meal delivery and if that can free up some extra time to spend as a family, thats a great gift for the child. Time: We all want more time (and there never seems to be enough of it!). What the child really wants is more time - more time to figure out their shoes, more time snuggling on the couch, more time walking in the forest and looking for bugs. You don't even have to call it a gift, but carving out a little extra time will be a gift that the child can enjoy in the moment and play an important role in their development to feel supported in and connected to a strong community. Donations: Local shelters and centers often have wish lists around the holidays and you could gift some much needed supplies. This can include homeless shelters, soup kitchens, and even rescue animal groups. College Savings/Fund: Consider gifting a contribution to some savings for college. Nothing is set up yet? Gift your time to help the family set this up! Diapers & Clothes: For families with infants and young toddlers, these tend to be high need, high turnover which puts them in perpetual high demand. Ask before you buy, but the family just might appreciate it. Kids' Furniture: It makes a difference for the child to use furniture that is tailored to their size. Many of the tables and chairs made for children are light and don't hold up well over time. More quality furniture can be more costly, but a great gift for your child and household or for family/friends to pool together to gift you. This might also apply to a child-size chair (if you have the space for it) or a quality high chair that allows the child to eat at the table with the family (instead of off to the side). Beauty: When things are beautiful, we want to use them. When things are not damaged, we want to take care of them. We can help facilitate the child’s learning through beautiful materials that attract and beckon them to use and take care of them. Natural Materials: (wood, metal, ceramic, glass) are both beautiful and have the necessary weight that lends itself to more careful usage. A benefit of using "breakable" items is that if it does break, the child learns and important lesson on how take better care of the material next time. Include the Child: Instead of a “fake kitchen,” consider finding a way to invite the child into the real kitchen with child oriented choppers, small pitchers, etc. For the 0-3 child, if you are looking for high quality, developmentally aligned toys and manipulative, this is the place to be! 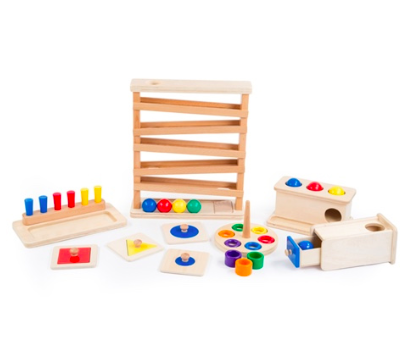 MontiKids offers "sets" of materials targeted to specific ages, all following the Montessori curriculum. Plus, they all come with learning videos on how to use each one. This is a great gift! Tools and materials that facilitate independence and inclusion are often the best "toys!" for the 0-6 child. Children love having the opportunity to particiapate and do things themselves. For this, Montessori Services is a great resource - from small brooms to cooking tools, pitchers to utensils. Consider a gift certificate so the family can get what fits the best for what they need. Board Games are a great gift for the 3-6 year old child. They are engaging, fun and bring the family together. 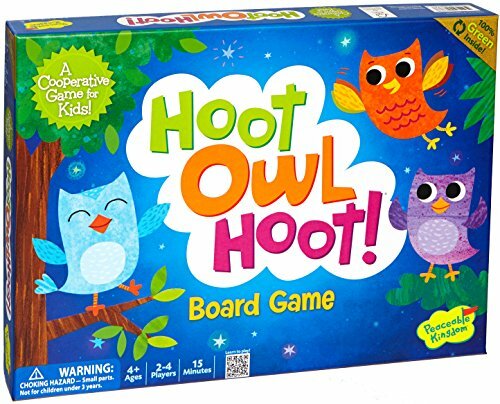 Cooperative games (like Hoot Owl Hoot!) help the inexperienced game player by having everyone work together for the same goal. Other games like chess and checkers, card games or more advanced board games can also be fun for the child as they grow. Gross Motor toys are a great way to engage the child's "bigger" movements. 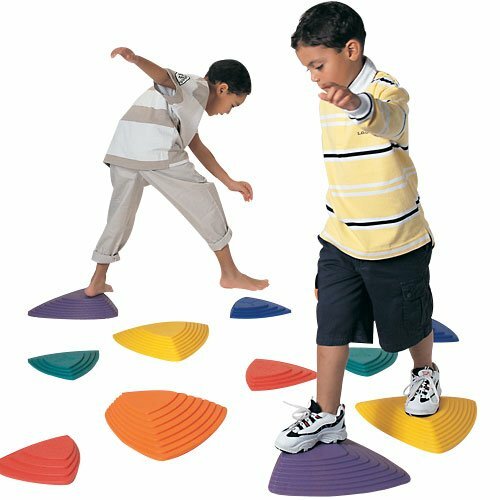 Thing like scooters, river stepping stones (as pictured), tunnels, folding gym mats, etc are a great way to offer opportunities for larger coordinated movement, games and fun!